Having just seen and tried on possibly hundreds of fresh-from-the-workshop timepieces at SIHH 2016, I nominate these six as among my favorites—so far. As is usual for SIHH, complicated timepieces were everywhere (remember that SIHH is an acronym for Salon International de la Haute Horlogerie) and nearly every exhibitor showed at least a few deeply complex timepieces. But this year several major SIHH 2016 launches were full re-designs of heritage collections borne of time-only designs. Included among these are IWC’s pilot model re-boot, Jaeger-LeCoultre’s updated Reverso collection and Vacheron Constantin’s nicely refined, redesigned Overseas. Sure, all include a perpetual calendar within the 2016 debut series, but at their core these collections focus on hour, minutes and seconds. Among the 2016 highly complicated models, standouts included Cartier’s Fine Watchmaking debuts, Montblanc’s Villeret Tourbillon Cylindrique pocket watch, everything at Richard Mille, Piaget’s daring Emperador Coussin XL 700P with hybrid movement, the Jaeger-LeCoultre Reverso Gyrotourbillon, the A.Lange & Söhne Richard Lange Jumping Seconds and the impressive Audemars Piguet Royal Oak Double Balance Wheel Openworked. Ironically it was Greubel-Forsey that this year made waves with its first time-only model, the Signature 1. With few time-only models among the nine independent watchmakers found at the debut Carré des Horlogers, the DeBethune World Traveler had many visitors enthralled. 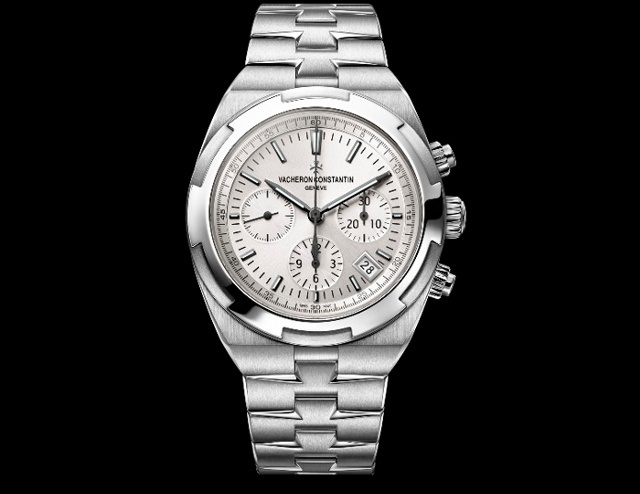 My initial list of favorites are not the show’s most complicated watches, though I’ve included one chronograph below because a good one is a wonder of micro engineering that should never be take for granted. Another of my favorites, the stunning dual-column-wheel Parmigiani Fleurier Tonda Chronor Anniversaire, might have made this list, but with its high-speed, split-second chronograph movement, I’ll save it for an upcoming list of more complex debut timepieces. The refined reboot of this dressy collection debuts with five handsome models and twelve references, including this 42.5mm column-wheel chronograph. It’s not simply a face-lift of the anti-magnetic cases, the new calibers, thinner hands and the brilliant finish (especially noticeable on the rotor) that elevates Overseas to the stratosphere, it’s also the entire collection’s interchangeability. The new stainless steel models are each delivered with three interchangeable bracelet and straps: a steel bracelet with an easy-fit system, along with rubber and leather straps. Thus, each buyer gets the look of three watches with one purchase. Likewise, all pink gold models come with two straps: one in leather and the other in rubber, both fitted with an interchangeable pink gold folding clasp. All bear the Geneva Seal. A choice I could have also made two years ago when the Calibre de Cartier Diver watch debuted, this newest version is destined exclusively for the U.S. market through the middle of next year. 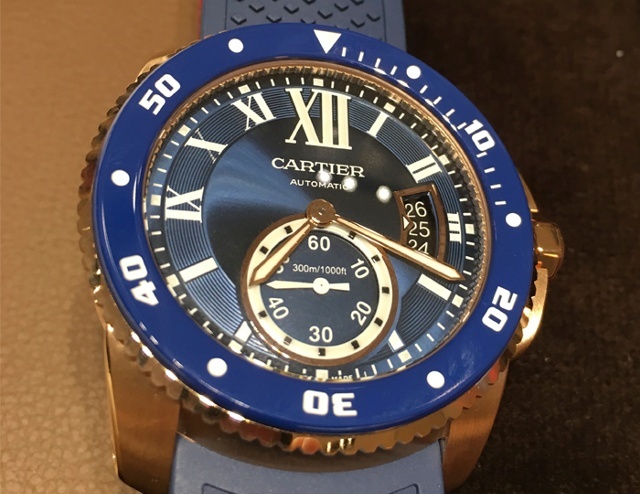 This is Cartier’s full-on dive model, with a 300-meter water resistance rating and adherence to the strict technical requirements of ISO 6425. The blue bezel and blue rubber strap of the U.S. version this year make this already handsome piece into a must-have for those who appreciate wear-anywhere diver designs. This successor to the IWC Mark XII from 1993, as well as the original 1948 IWC Mark XI, reaches all its, well, marks. 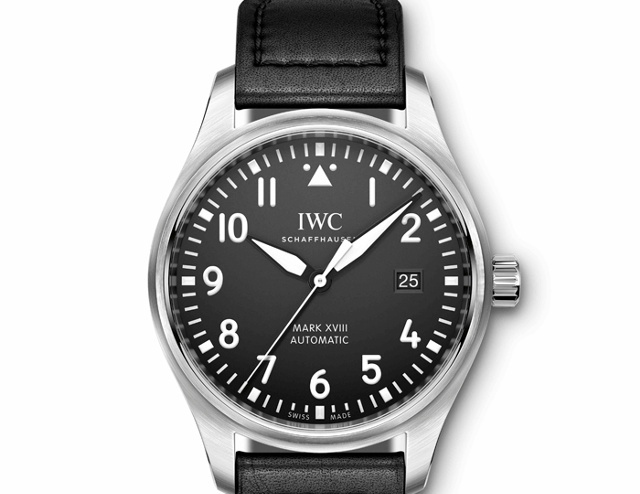 IWC removed the triple-date window seen in recent generations of some IWC Pilot’s watches while adding 9 digit back to the dial. When the new designs lowered the Mark’s traditional triangle aviation at 12 o’clock to more closely resemble the originals, purists sighed with approval. Nicely done. 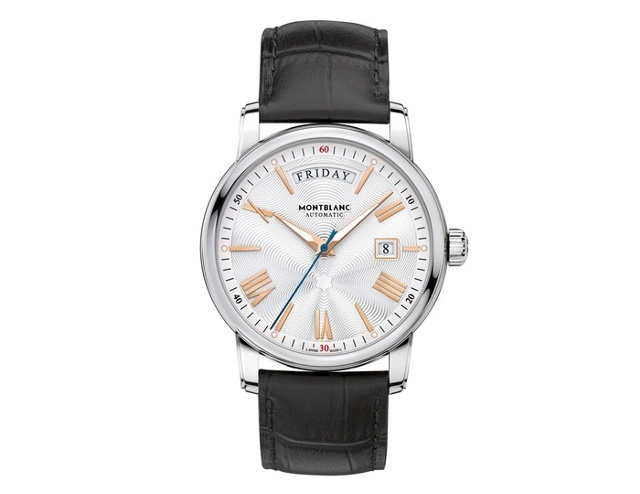 This tweaked dial and case is the German maker’s thinnest timepiece, and it exudes class. Compared with the predecessor model from several years back, the solid-gold baton hour markers on this debut have been slightly elongated and shifted closer to the bezel. The retouched solid silver dial looks terrific in almost any light, even in the darkness of A. Lange & Söhne’s SIHH press room. Not known for thin watches, the company’s subtle redesign of the Saxonia here places it alongside Vacheron Constantin (Patrimony), Patek Philippe (Calatrava) and Piaget (Altiplano) as a maker of true black-tie-elegant timepieces. 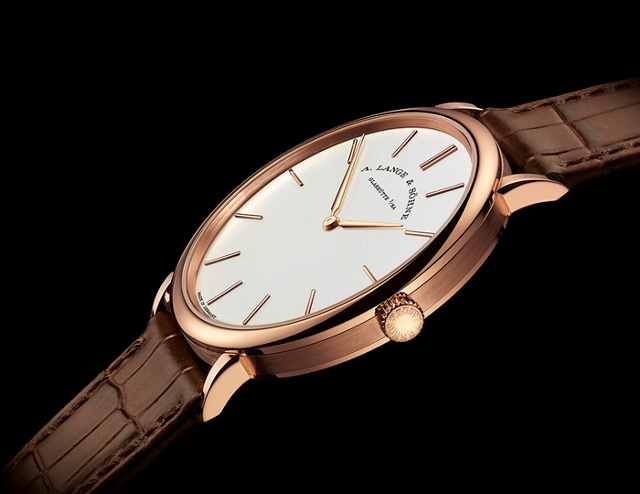 The new edition of the Saxonia Thin retains its 40mm diameter and measures 5.9mm high. It’s available in pink or white gold. Every bit of information I need from a watch is beautifully displayed on this standout model from Montblanc’s impressive and wide-ranging 4810 collection. I thinks it’s the combination of a subtle Montblanc star on the dial with the pleasing font of the day indicator at the top of the dial that made me quickly try this on. Needless to say, on my wrist the 43.5mm automatic watch looked and felt great. Also note that you’ll find most if not all Montblanc watches equipped with the firm’s own handcrafted straps–another bonus. Montblanc’s 2016 debuts overall reached new heights in terms of range and design, which is in part why its booth at SIHH was never less than packed with visitors. 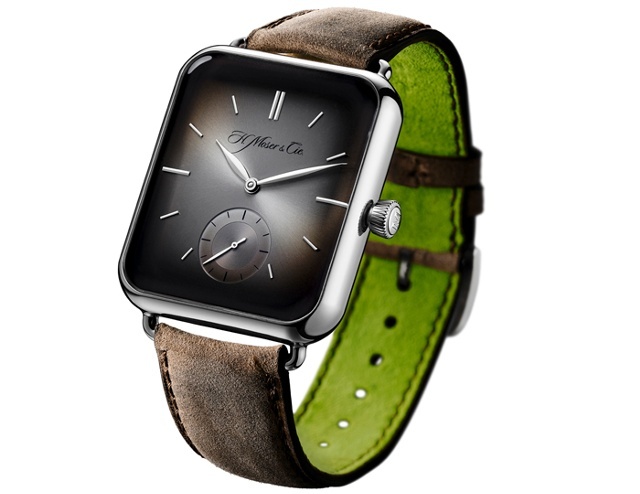 When a few weeks ago H. Moser placed its own slow-beat, hand-wound movement into a white gold case shaped to mimic the 38mm version of the Apple watch, the small Swiss watch company drew outsized attention to mechanical watchmaking. More than simply a bid for buzz, the timepiece itself is a pleasure to eye and to wear on the wrist. If you could buy one (they are apparently sold out) you’d own a watch with 100 hours of power reserve, a gold escapement wheel and pallet fork and a dial resplendent in pure Moser fume. Today and tomorrow, Ladies Editor Nancy Olson and Managing Editor Nola Martin present their favorites at SIHH 2016.